On the left bank of the Charente river, discover a masterpiece of Vauban's fortifications : the Fort Lupin. At the time, the ships of the Naval Dockyard of Rochefort, would leave the port by the Charente river to navigate towards the Atlantic Ocean. On the river, ships, even empty, would only take the wind from St Nazaire-sur-Charente, a few kilometers from the mouth of the Charente river. To counter this, the men would have to pull the ships linked to them by ropes on the river banks ! To get some clear drinking water, a stop was necessary at the “Fontaine Royale Lupin”, built in 1671, 3 km from the estuary of the Charente and in the harbor, the ships were armed. Protecting these ships was of course the mission of Fort Lupin, built in 1683. This fort, probably the best preserved today, completes the great project of Vauban. Built on the edge of a marsh, this half-moon fort is surrounded by a ditch of water that protects it from the land. Every Thursday morning, from July to September, take part in the guided tours of the Fort Lupin. 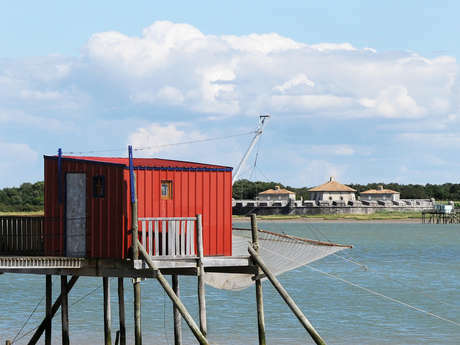 Remember to book your visit at the Tourist Office of Rochefort Ocean. Do not forget to take a short detour to the Royal Fountain Lupin which is still well preserved!